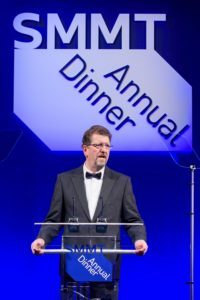 In his keynote address at the SMMT’s 101st Annual Dinner, SMMT President Tony Walker, urges government not to undermine the industry’s hard-won competitiveness but says the industry is strong, resilient and innovative. The President of the Society of Motor Manufacturers and Traders (SMMT), Tony Walker, this evening urged government not to undermine the UK automotive industry’s hard won competitiveness due to slow progress on Brexit. 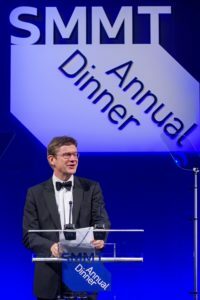 Speaking at the Society’s 101st Annual Dinner in London, he said there is no substitute for free and frictionless trade, and called for quicker progress on agreeing a transition period following Brexit. He spoke as SMMT released new figures illustrating the high stakes of a no deal Brexit for the sector. The risk comes not just from costly WTO tariffs – which would add at least £4.5 billion to the industry’s annual overheads – but also from the imposition of customs checks, red tape and fees on goods that currently move friction free across borders. 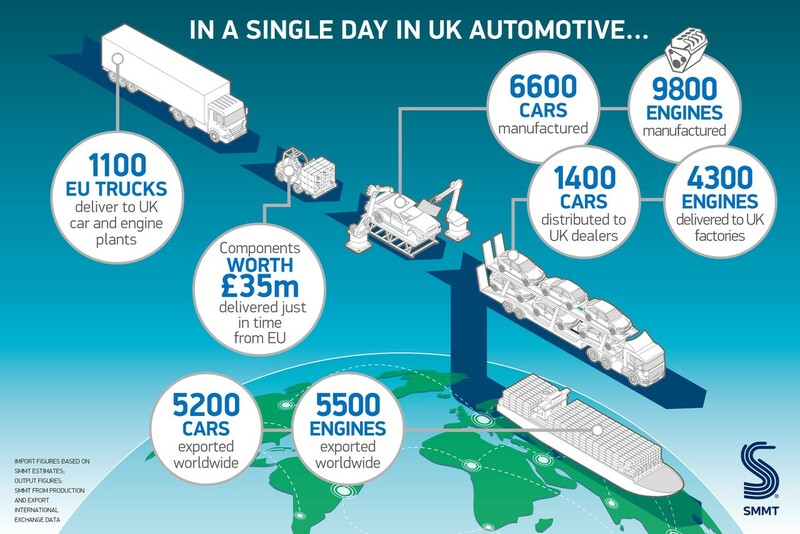 Every day, more than 1,100 trucks1 for UK car plants cross into the UK from the continent – the vast majority without being checked at customs – to deliver some £35 million worth of components2 to UK vehicle and engine plants. And every day, these components help build 6,600 cars and 9,800 engines3 – the bulk of which are then shipped back to EU customers and assembly plants.